Our client, a Patient Services Representative, was forced to stop working in 2016 because of medical conditions to include fibromyalgia, chronic fatigue syndrome, neuropathy, lumbar radiculopathy, and rheumatoid arthritis. She filed a claim with Cigna for Long Term disability benefits and was denied these benefits in early 2017. The former Patient Services Representative then hired Osterhout Berger Disability Law and following a review of Cigna’s claim file, Attorney Berger obtained medical treatment records and medical opinions from our client’s treating doctors revealing the severity of her impairments. Attorney Berger filed an appeal but Cigna failed to issue a decision in a timely manner. He then filed a complaint in Federal District Court, which led to Cigna, in short fashion, recognizing that it failed to address her appeal. Cigna immediately initiated a review of our client’s appeal and determined that she was entitled to Long Term disability benefits back to 2016. 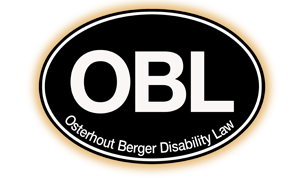 If your application for Long Term disability benefits or your appeal of a decision denying or terminating has been denied do not hesitate to contact Osterhout Berger Disability Law for a free consultation.